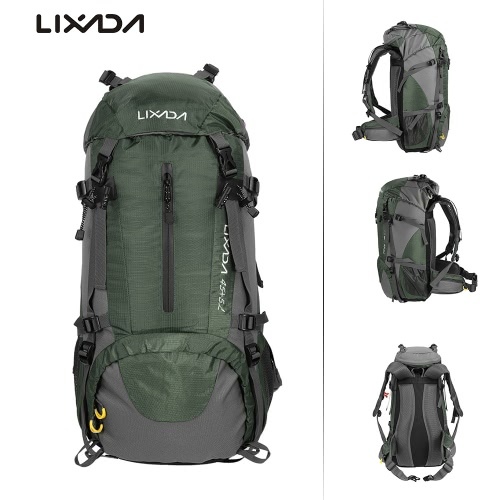 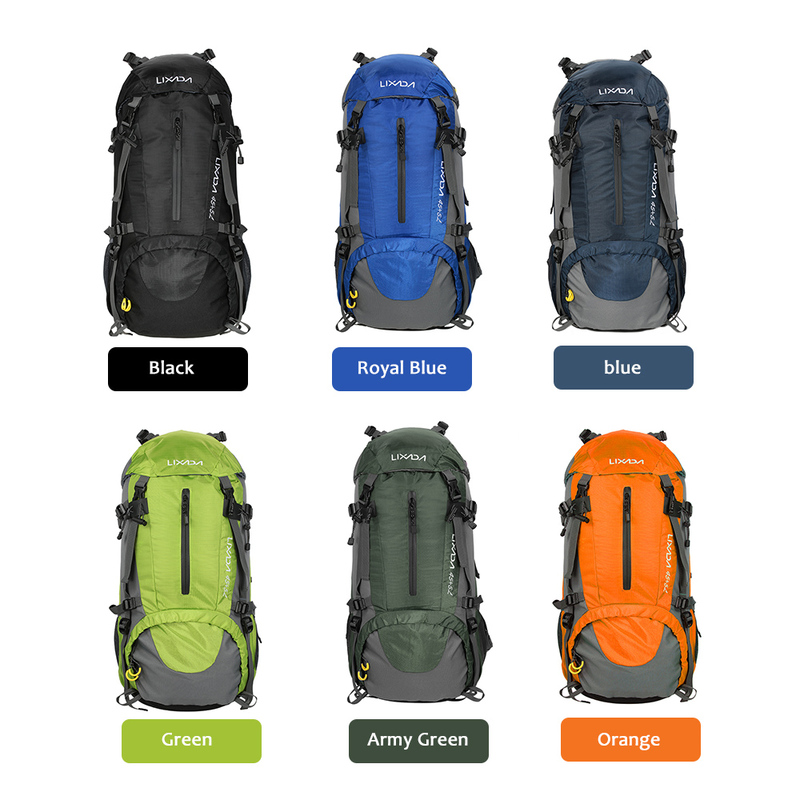 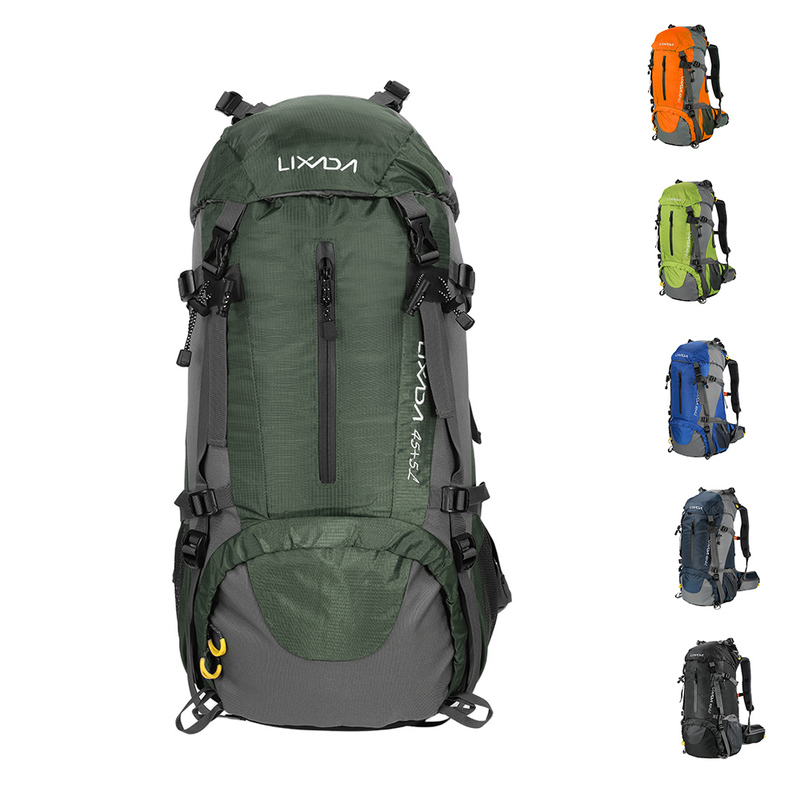 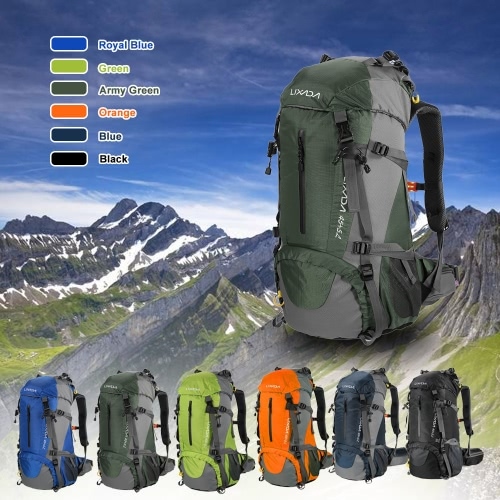 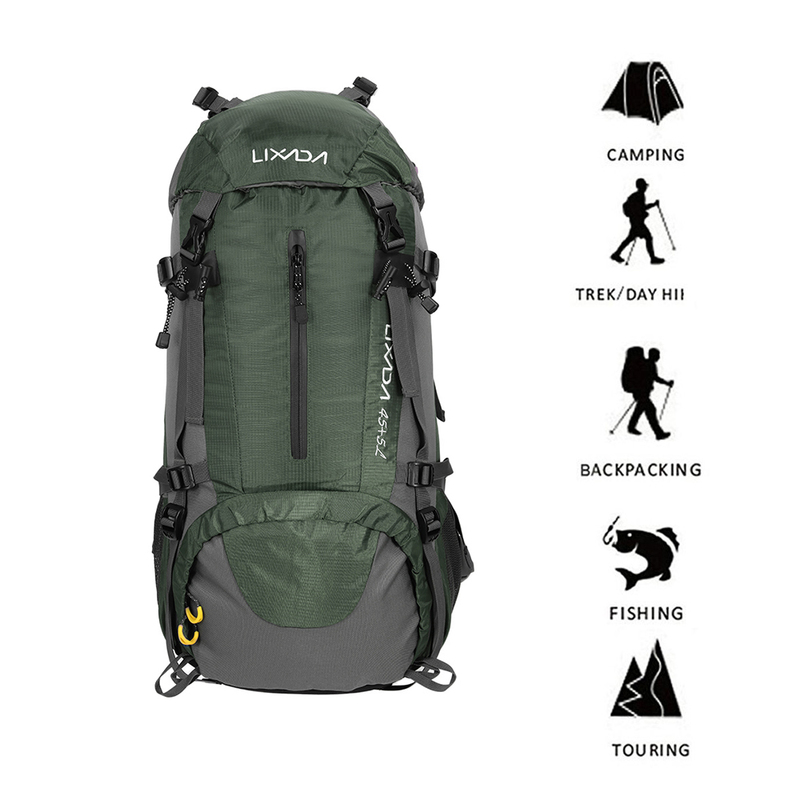 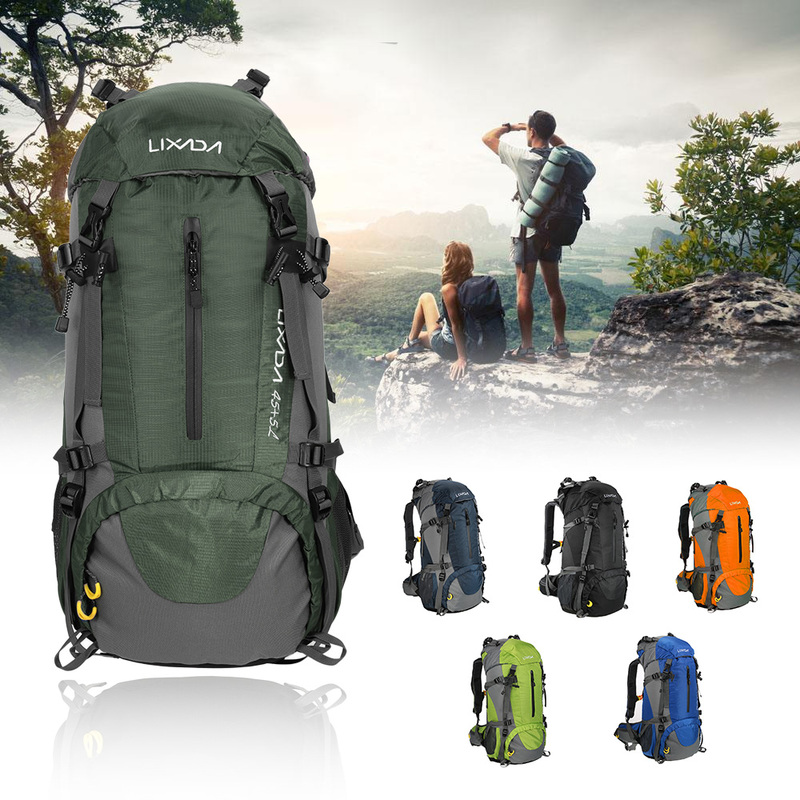 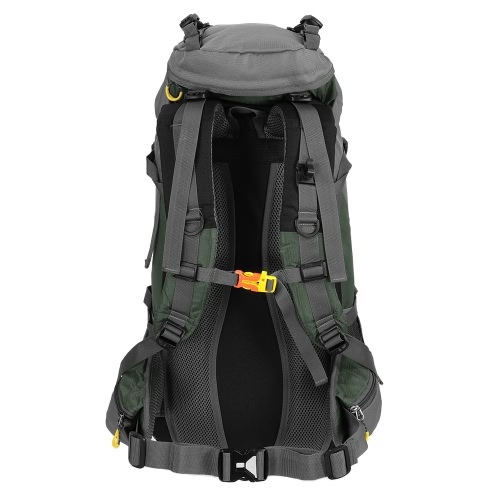 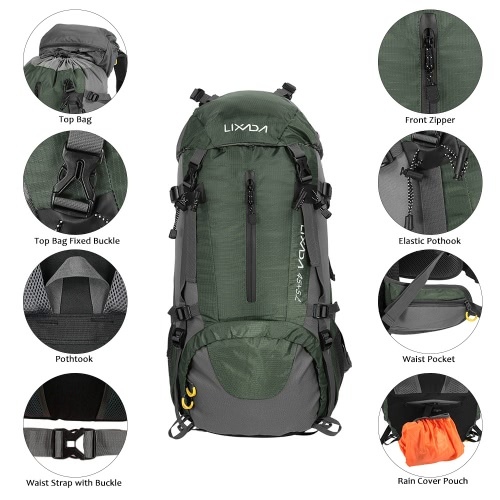 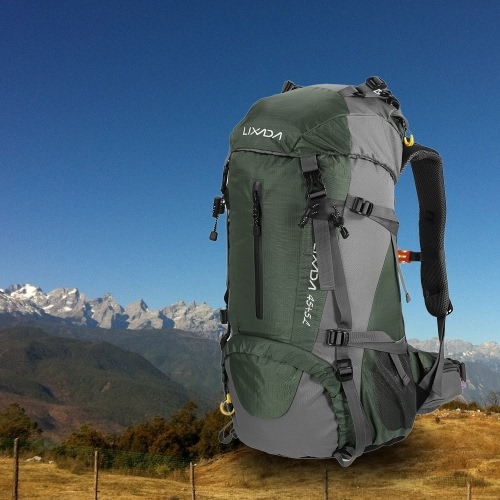 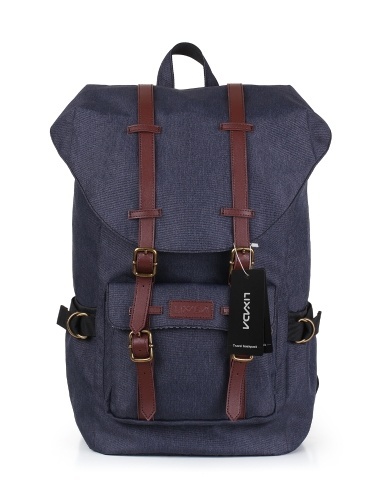 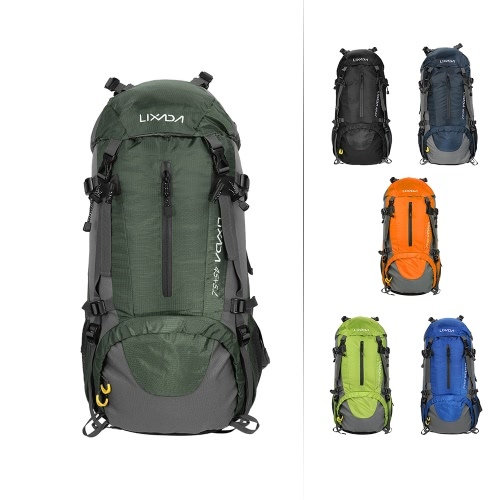 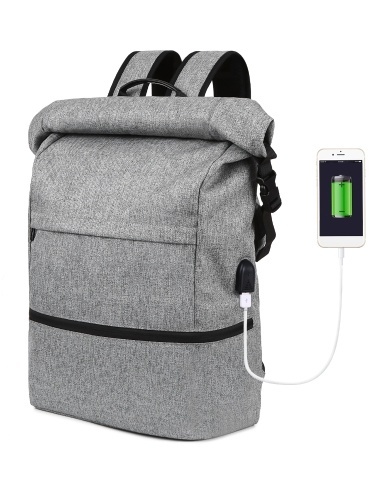 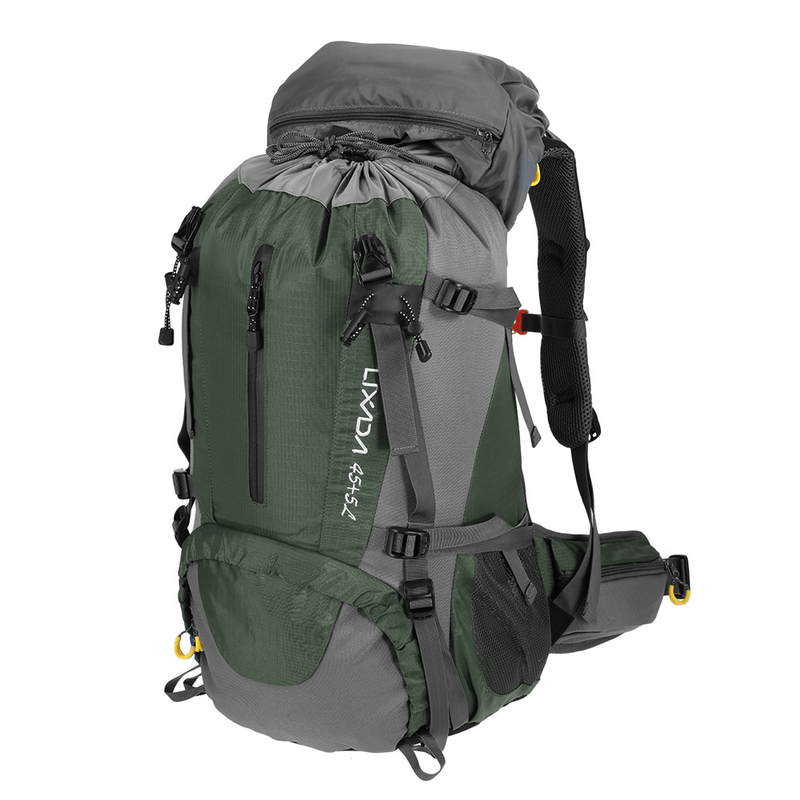 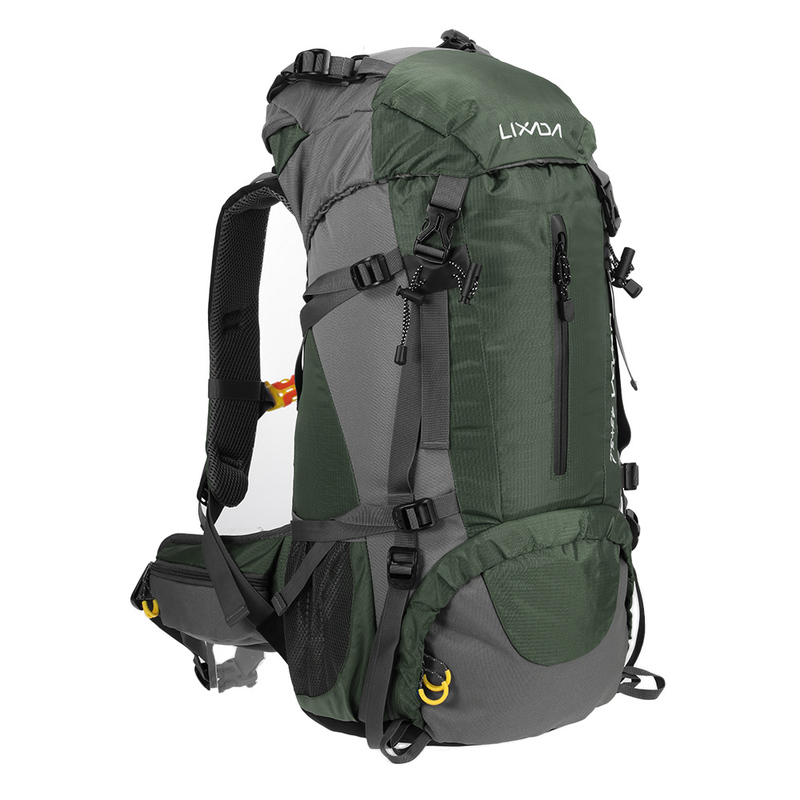 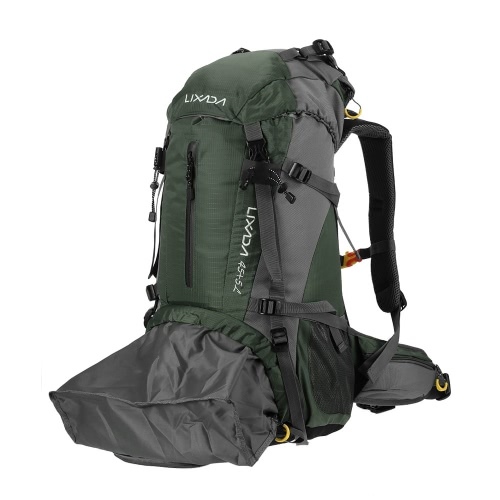 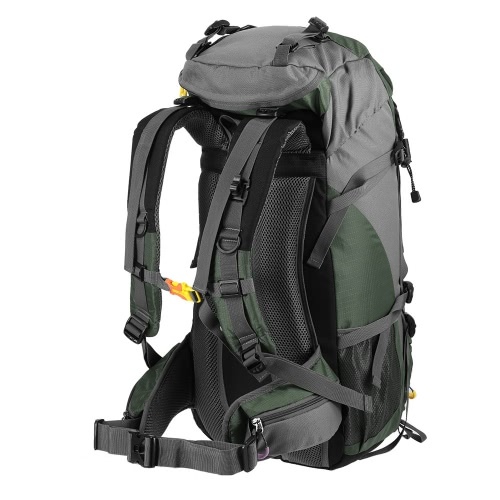 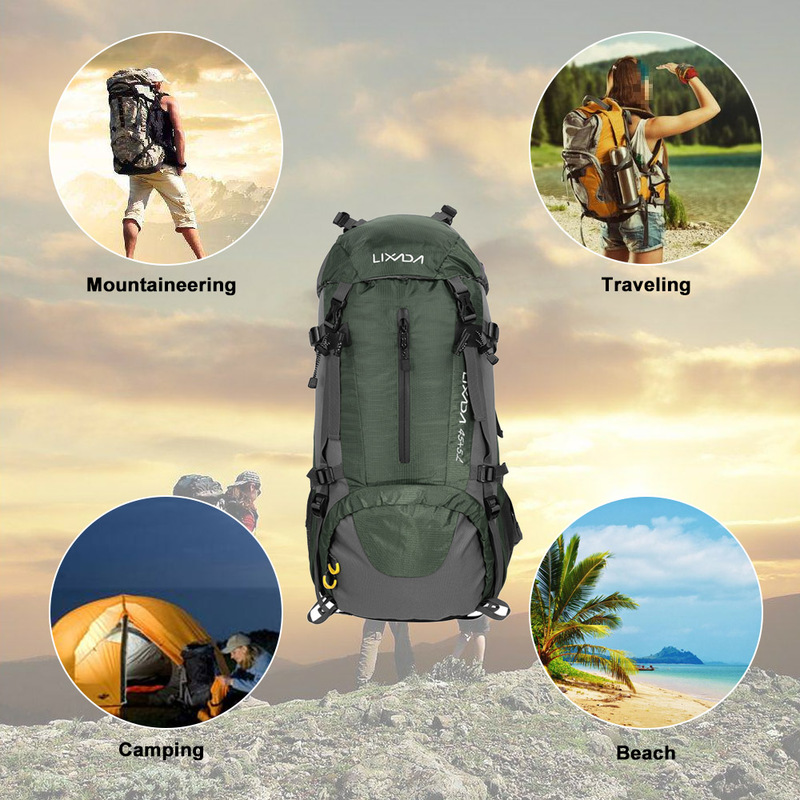 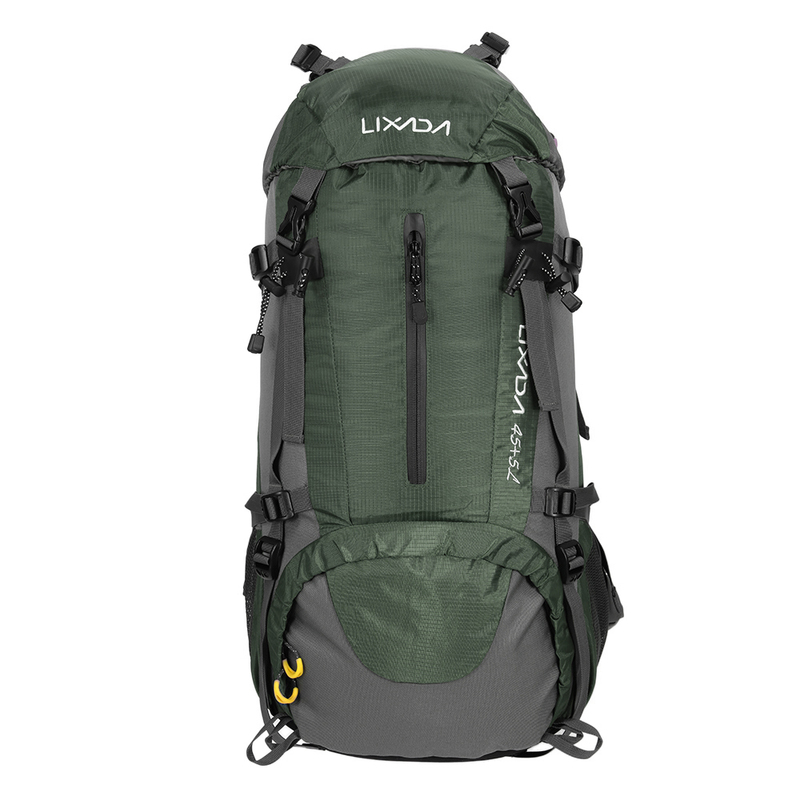 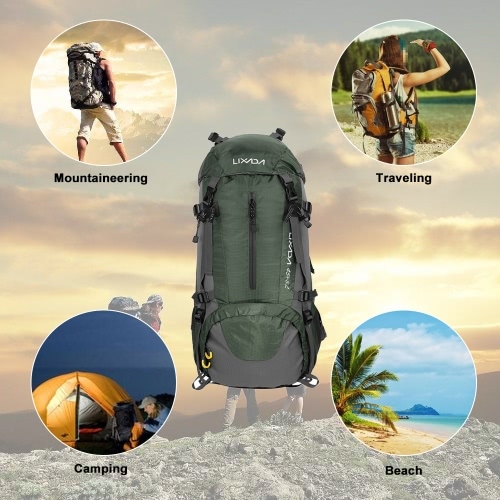 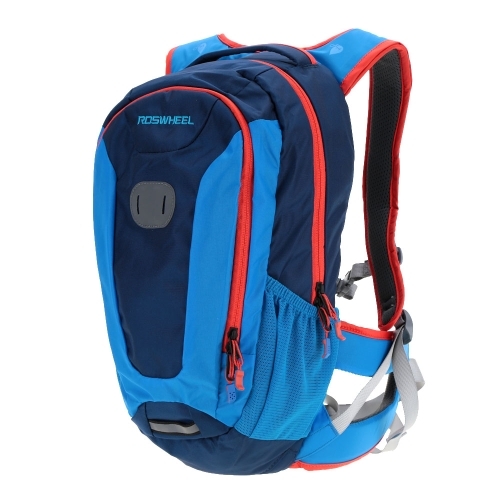 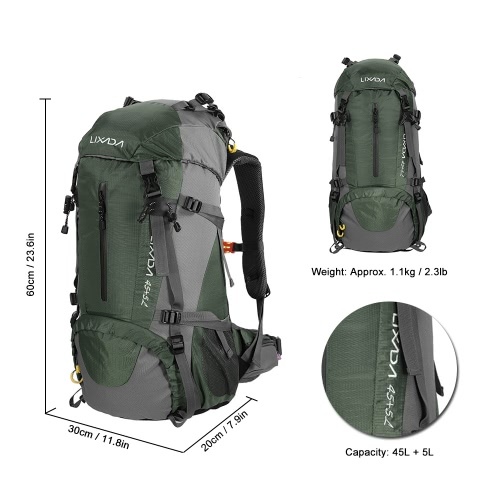 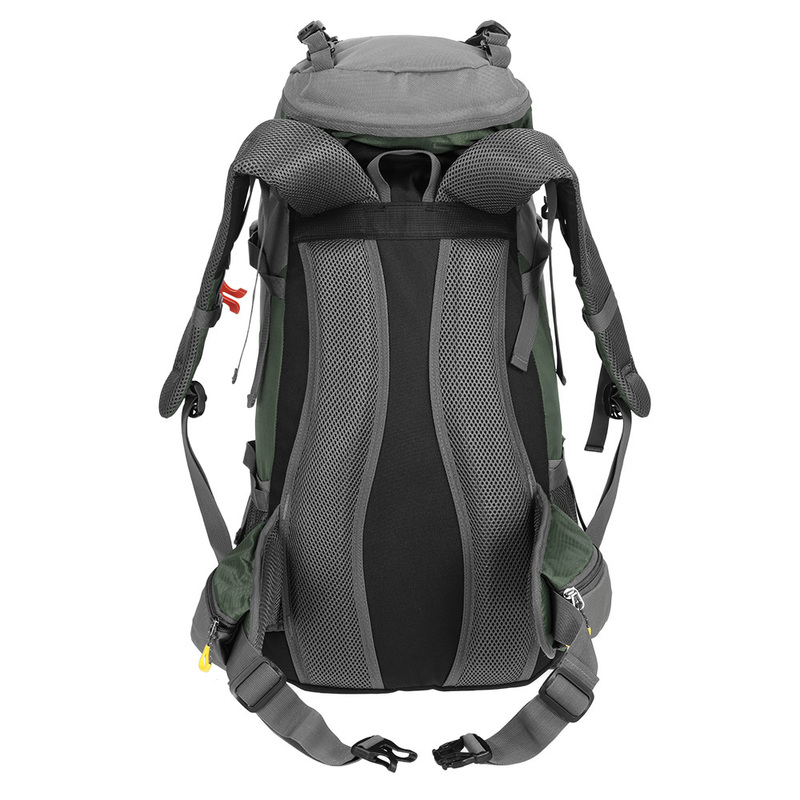 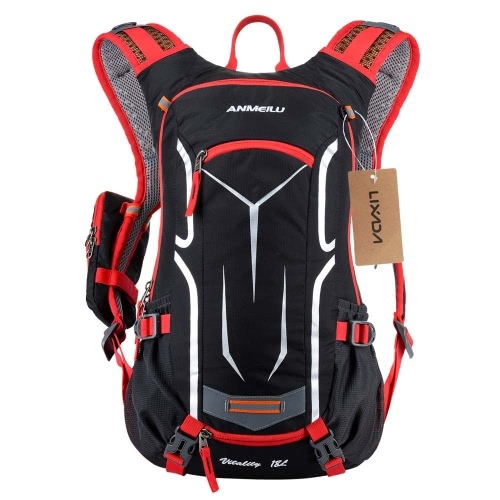 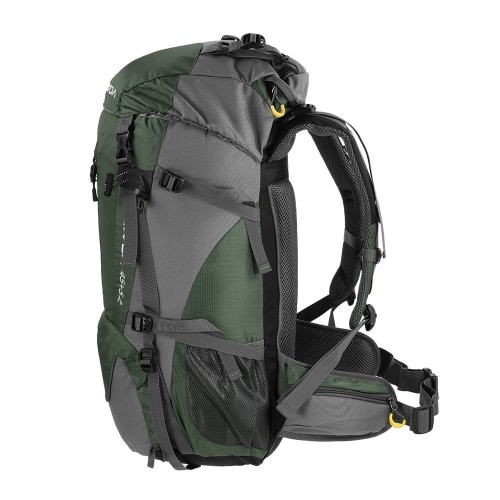 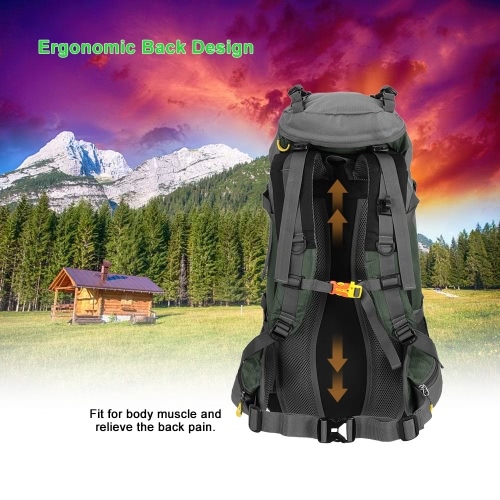 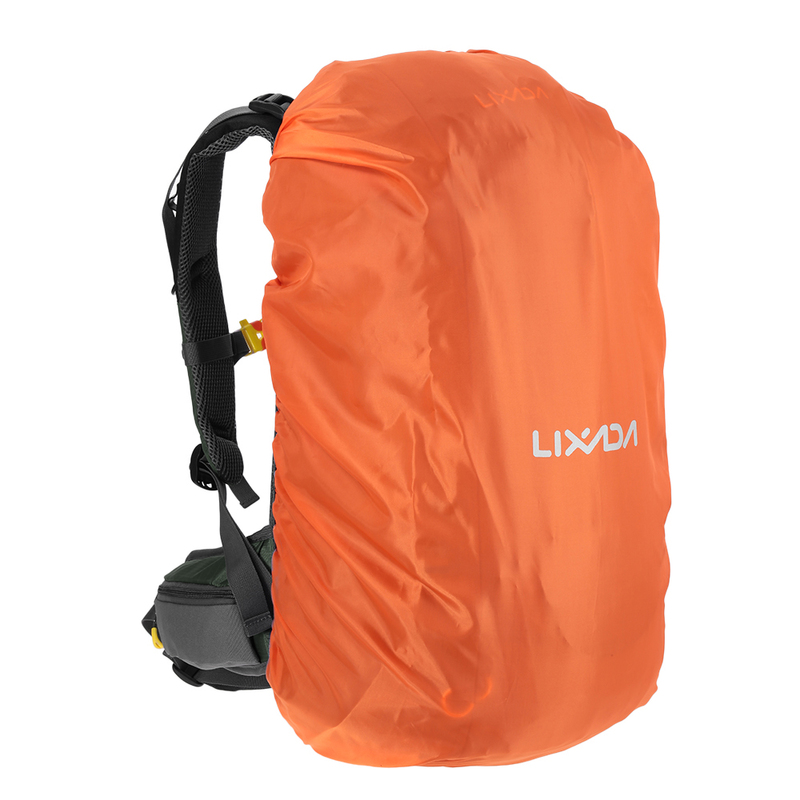 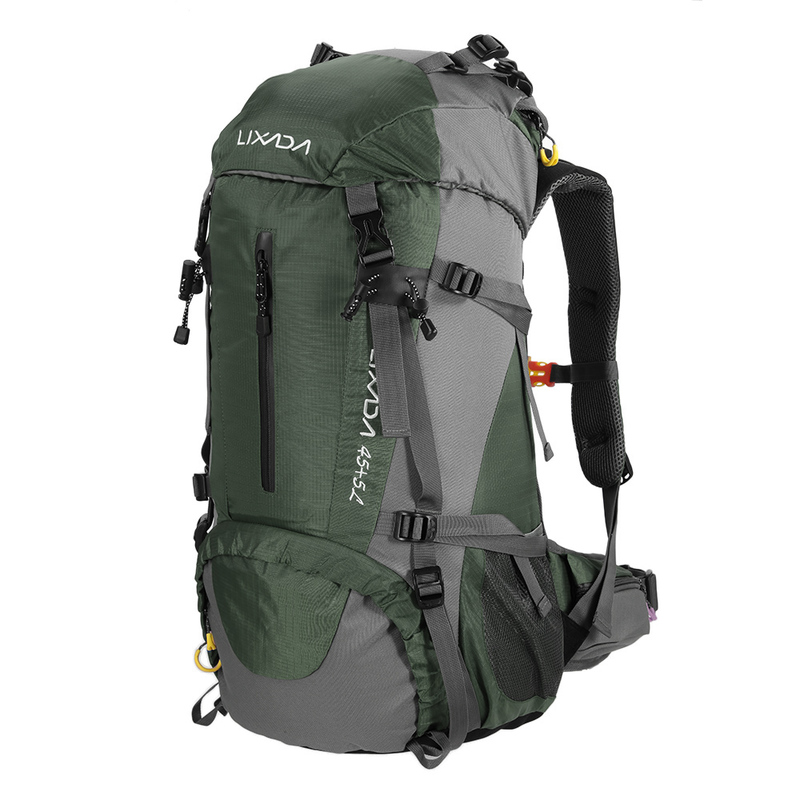 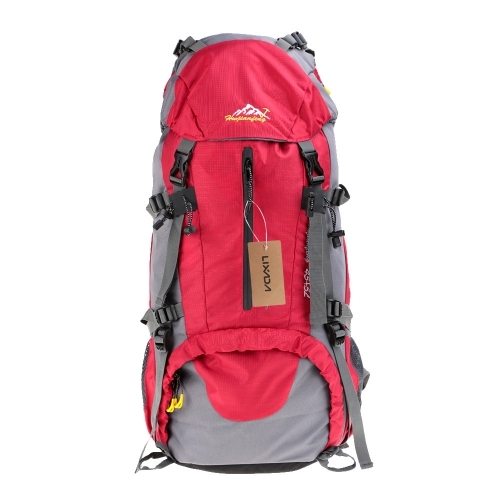 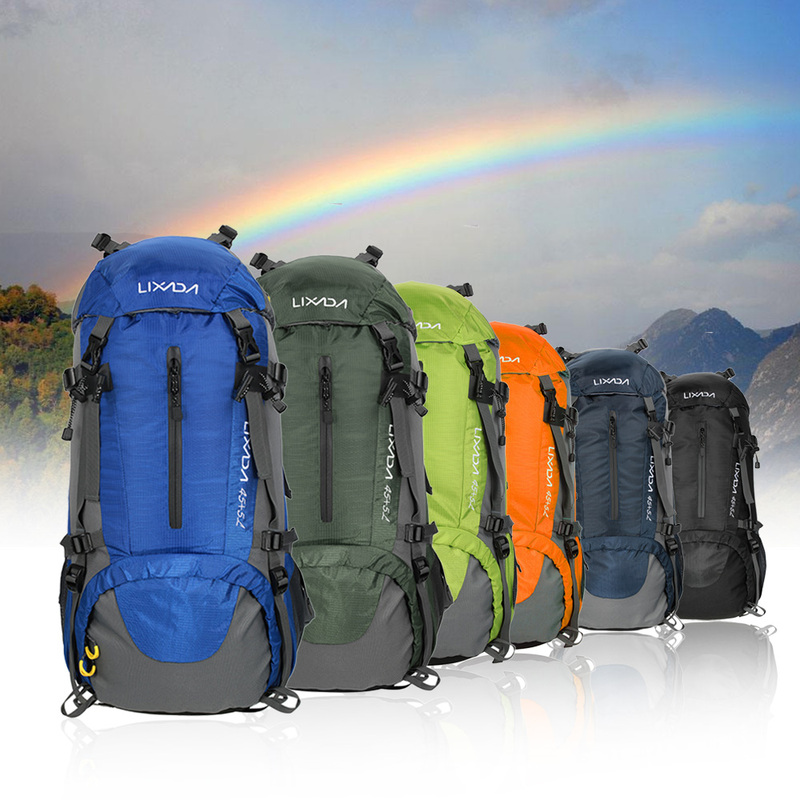 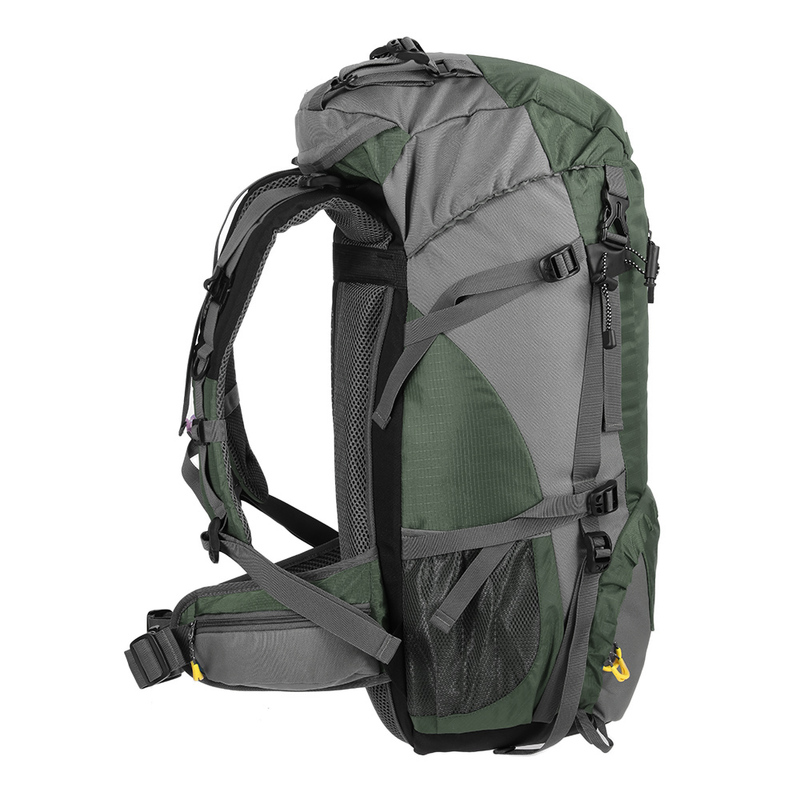 This backpack has a large capacity of 50L with its spacious main compartment and numerous pouches, it is a wonderful bag that will surely make your outdoor experience fantastic. 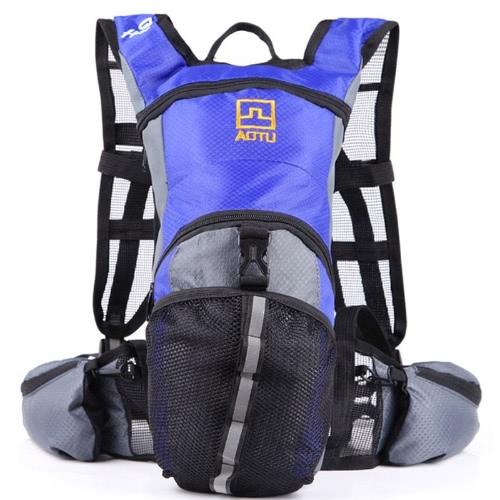 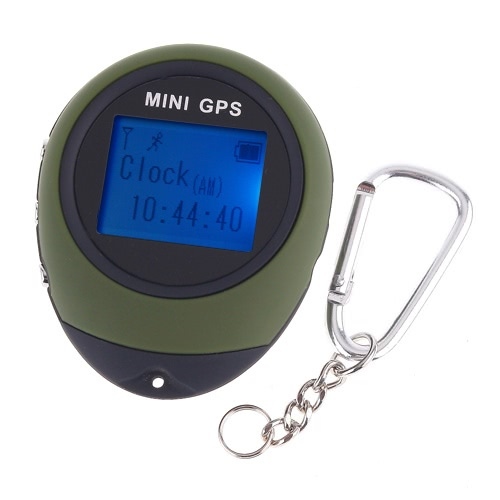 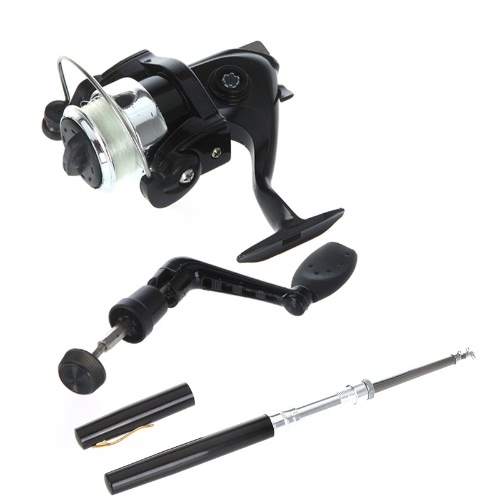 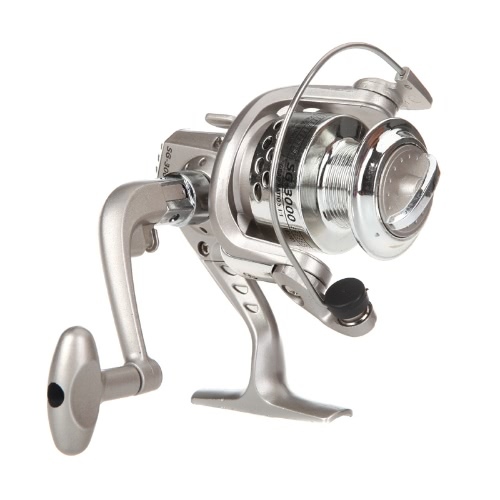 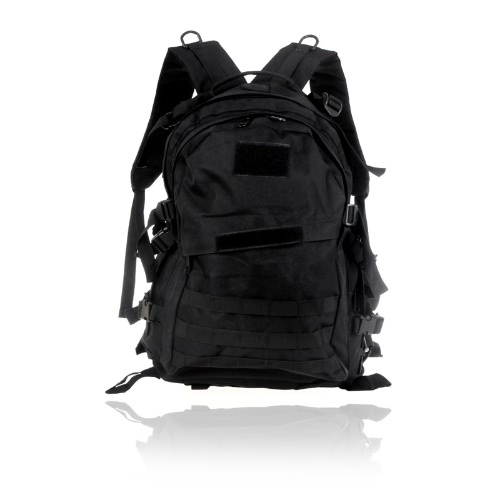 Made from water resistant rip-stop nylon fabric, withstand bad weather with maximum strength and durability. 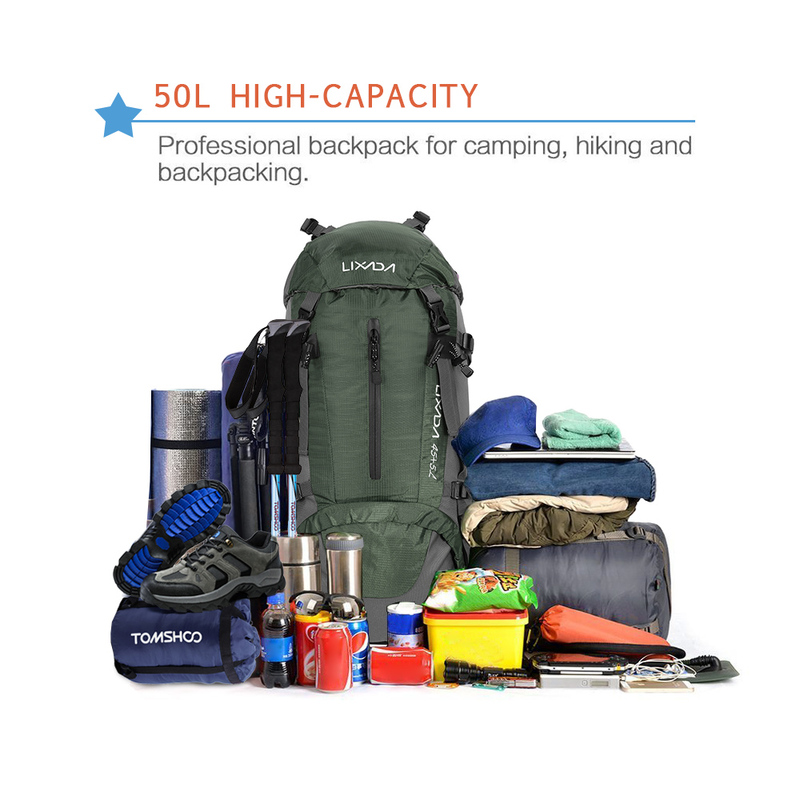 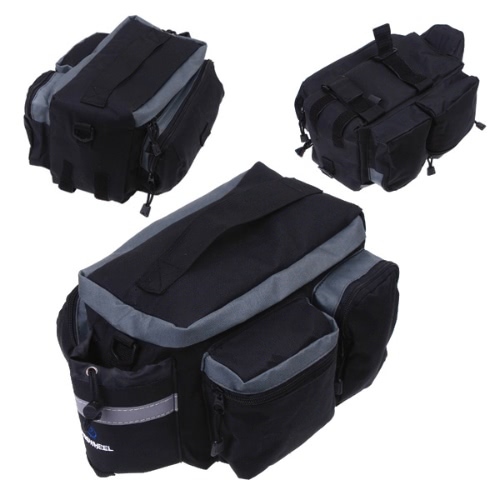 Spacious main compartment and numerous pouches with 50L large capacity, roomy enough for anything needed in your trip. 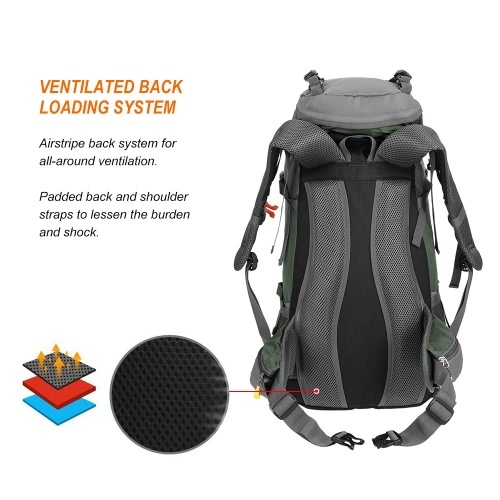 Breathable back panel with airflow channels for best ventilation and comfort, easing burden when heavily loaded. Thickly padded mesh shoulder strap to alleviate stress on your shoulders; adjustable to meet different sizes for both men and women. 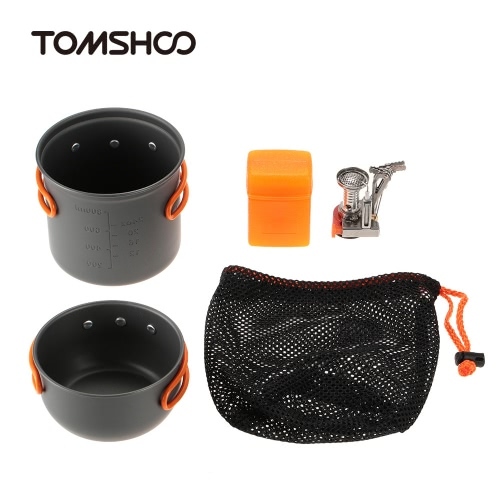 With strong hanging system to carry more items and keep them handy. 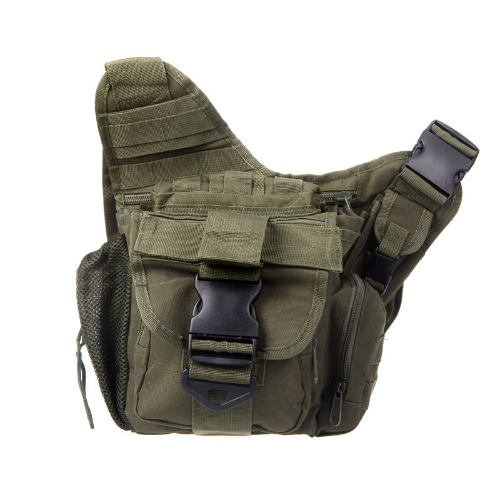 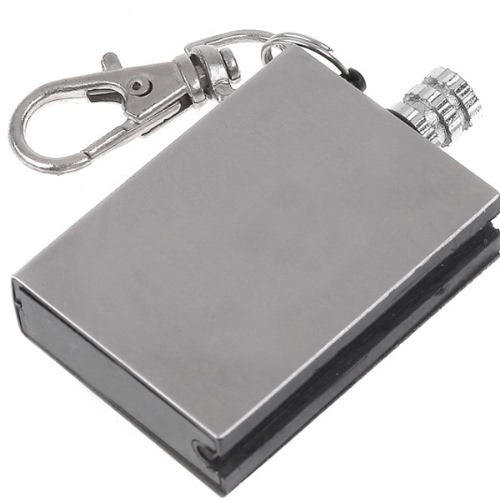 Adjustable chest belt and waist belt to secure the backpack in place. Include a free rain cover to keep your gear dry in wet weather.